Get something different for a special day or make any day special! Olá Vida™ Baklava is guaranteed to add an extra special touch to any day. Use our contact form to request information on ordering directly from us. 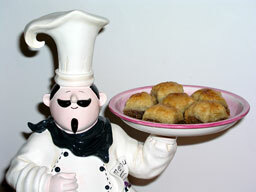 We have had everyone raving about your baklava. Best baklava I have ever tasted. Nov) at the Fairport Farmer's Market.